CV vs resume – Which is better? Actually, the main reason for using a CV is the nature of your work. CVs are typically for professional roles, ranging from specialists and academics to bona fide professional experts in all professions. Have some problems writing your desired paper? Get the most qualified help with writing a CV by our professional team of experts and even the hardest task will be done in a moment! CV is short for curriculum vitae, which is Latin for “course of life”. A CV is essentially a detailed work history. It’s very much a career overview in many ways. It details the course of employment and career progression. A resume is a more skills-focused document, including a basic, briefer work history, and may be formatted to showcase particular ranges of skills, knowledge, and experience. A CV usually only adds information to the existing work history or removes obsolete or out of date information. Resumes are usually adapted for different jobs, to showcase specific job-related skills and experience. CVs include depth and detail of professional work, speaking roles, academic appointments, publications, education, research, projects, and similar professionally focused information. Resumes tend to abbreviate professional qualifications and experience and focus on transferable skills and knowledge. Curriculum vitae or resume, which is better for you? If you’re trying to decide between a curriculum vitae or resume, the big issue is real which suits most for your needs and your profession. A CV is a particularly useful, informative professional document. It’s ideal for senior professionals, particularly in academic, scientific, and higher levels of business and corporate careers. A professional business consultant, for example, can create a truly impressive CV. Your first resume always has the core recommendation of being extremely functional in any career environment. They are highly adaptable and good for presentation of your skills and experience. Resumes can include some aspects of work history, like achievements, too. CVs are lengthy documents, requiring considerable attention to detail, and very much focused on presentation. CVs can be adapted to specific job requirements, but there’s more work involved in tailoring them to meet the requirements of a particular position. 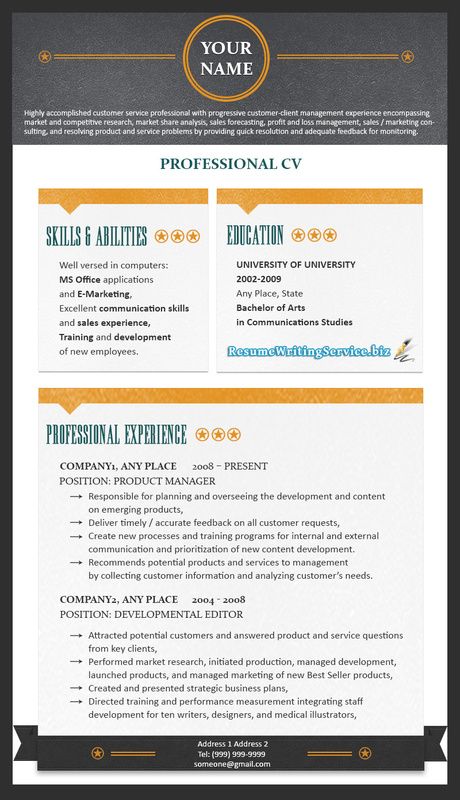 Resumes are much briefer documents, very easy to edit according to your needs. A CV or resume may not be appropriate in some cases. An academic institution would typically prefer a professional CV, for example, when you’re applying for a position. When you’re applying for a sales job, a CV definitely wouldn’t be appropriate. We hope you’ve found our CV vs resume information helpful. Images are taken from: slidesharecdn.com, thumbs.dreamstime.com. So, don’t wait any longer! Contact us and your CV vs resume will be perfect!